Sometimes known as the Mountain of the Breast and other times the Mountain of Illusion,this treasure is ancient beyond comprehension. The basalt ascents of the enigmatic Mt. Elgon have been held sacred for centuries since its first eruption more than 24 million years ago.This fascinating mount also conceals other special finds, like the rock art sites of Kakapel, which are enshrouded in its thick enchanting forests.Its close neighbour,also worth noting, is the reserved Saiwa Swamp. 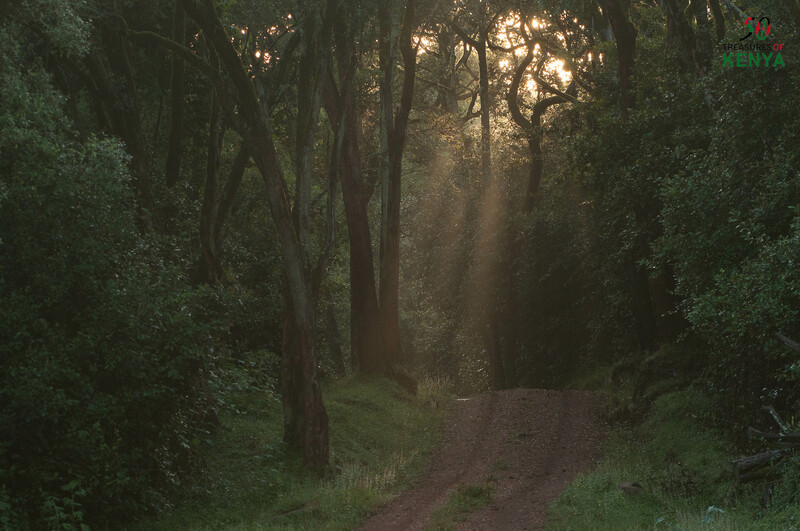 This is another dazzling gem that happens to be the smallest national park in Kenya and home to the shy and rare semi-aquatic Sitatunga antelope. Claiming the greatest surface area of any extinct volcano in the world ( approx.50km by 80km), Mount Elgon is the fourth highest mountain in East Africa; with the second highest peak in Uganda (Wagagai peak,4321 m). 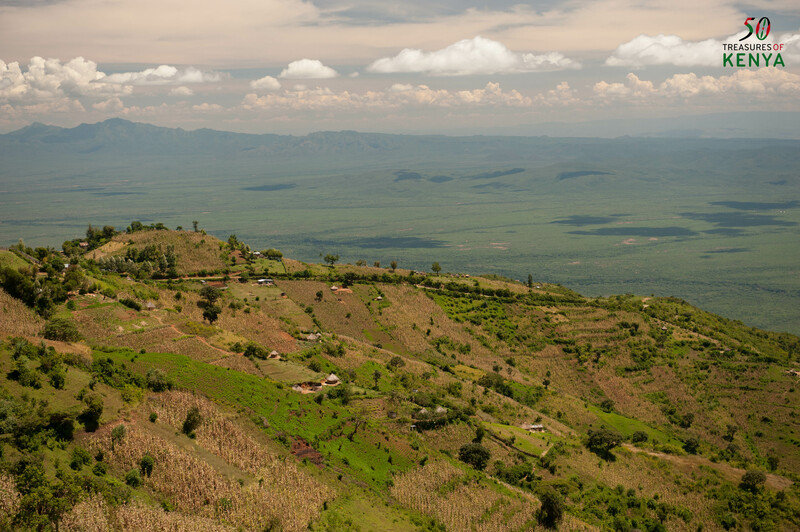 It is an integral part of Africa’s Great Rift Valley and the eighth highest mountain in Africa today holding the largest intact calderas in the world! The Mount Elgon National Park is characteristically the landmark attraction in this area of the Trans-Nzoia region in the Rift Valley. Partitioned down the middle by the border of Kenya and Uganda, it covers an area of 1279 km², approximately 140 km North East of Lake Victoria. The Ugandan claim of the park covers 1110 km² while the Kenyan portion covers 169 km². The Kenyan part of the park was gazetted in 1968 while the Ugandan half was classified in 1992 respectively. 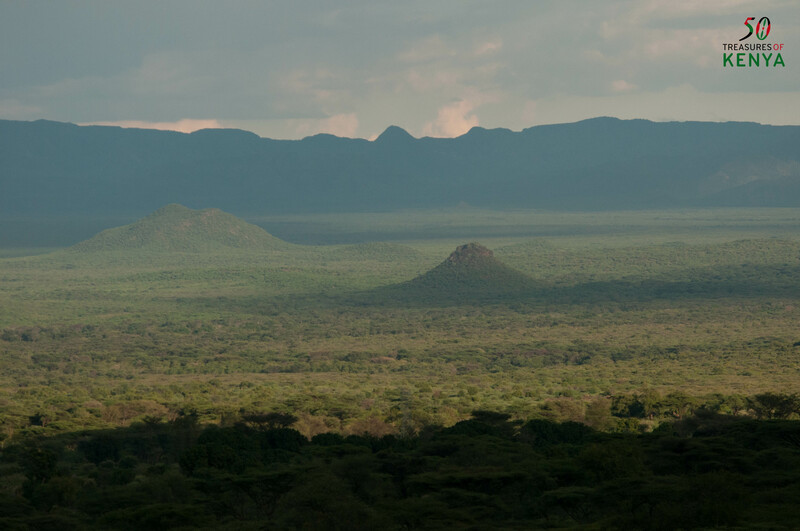 The Mt.Elgon National Park is one of Kenya’s most beautiful, still wild and intact attractions with vast areas of pristine forest which are excellent for game viewing. 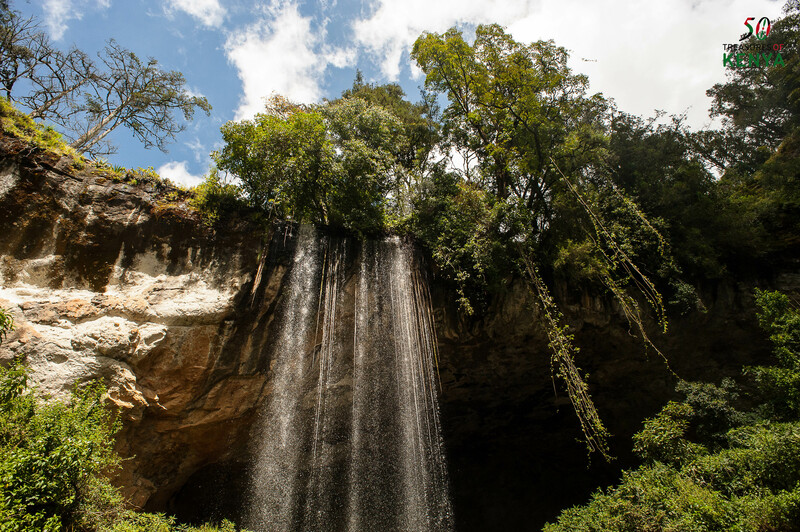 Together with the flora and fauna; the park has a variety of landscapes which include towering cliffs, plunging waterfalls, striking gorges, mesas, gorgeous calderas, sizzling hot-springs and tantalizing peaks. The most popular and explorable areas are the vast caves where frequent nocturnal visitors such as elephants and buffaloes come to lick the natural salt found on the cave walls. Kitum Cave is regularly visited in the night by herds of ‘salt-mining elephants’ dubbed the troglodyte tuskers or ‘underground elephants’ as well as bushbuck, duiker and buffalo; all in search of the salts that abound in the mineral-rich earth of the caves. Recent studies have shown these elusive elephants and other mammals are major contributors to the development of these unique phenomenon. Typical of most forest animals, they are shy and generally wary. Mt. 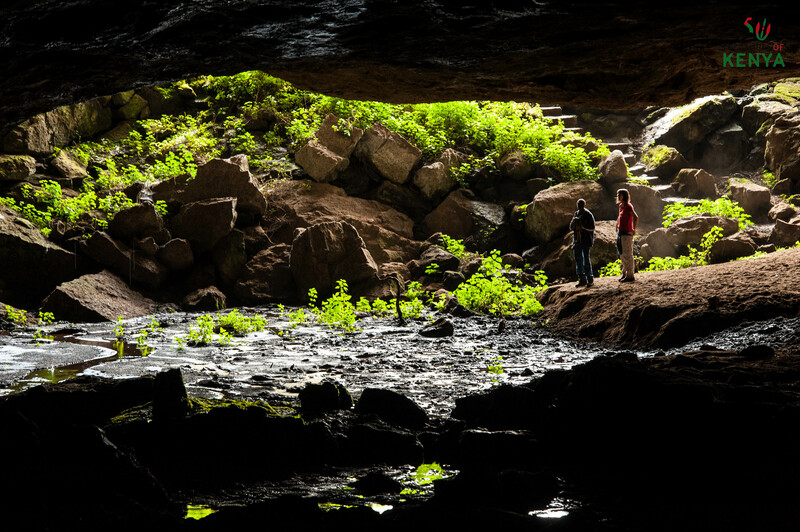 Elgon is bejeweled with caves formed from ancient lava ducts i.e. Kitum, Makingeny, Chepnyalil and Ngwarisha. These caves were used until recently by the local communities for traditional ceremonies. Kitum, meaning the Place of the Ceremonies in Maasai; being the largest, extends 200m horizontally into the heart of the mountain. 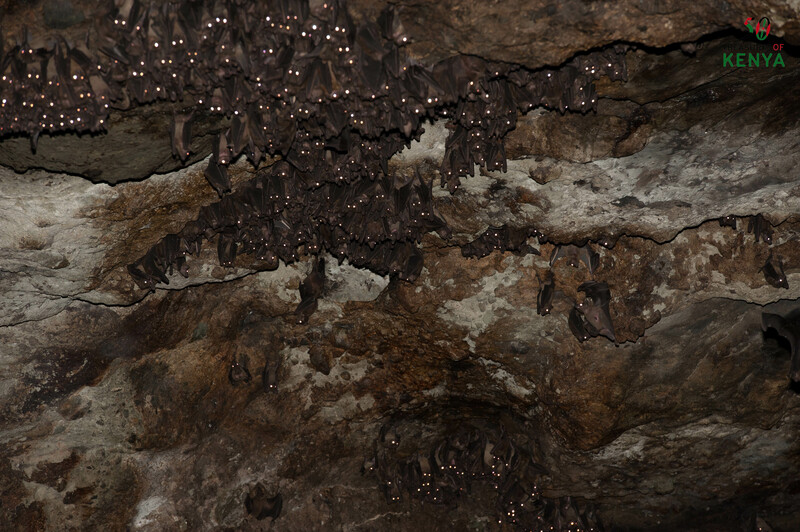 A cast of other creatures including bats and spiders use the caves as their shelter as well. Also known as Ol Doinyo Ilgoon (Breast Mountain) by the Maasai and Masaba by Ugandans, Mt. 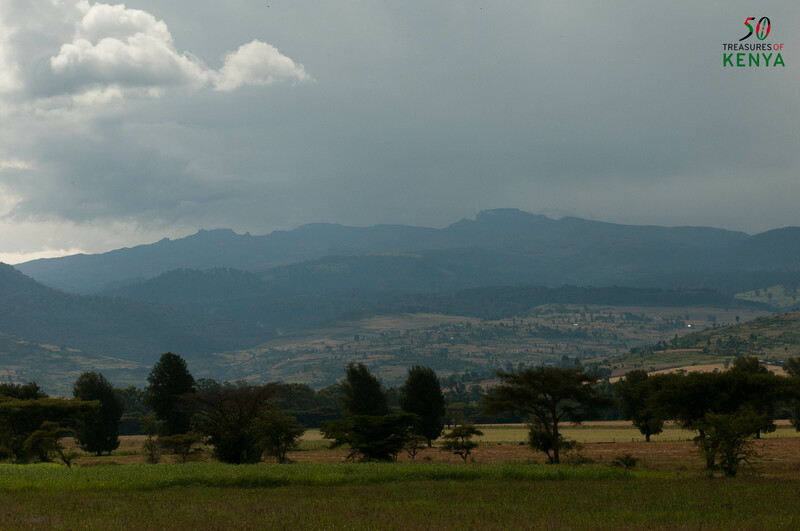 Elgon is named after the Elgeyo tribe who were its natives. The mountain is also the oldest solitary volcano in East Africa containing the largest intact caldera which is a collapsed crater covering over 40kms at the top of the mountain surrounded by a series of rugged peaks. According to popular culture it is purported that the park is the setting for parts of Richard Preston’s book The Hot Zone. 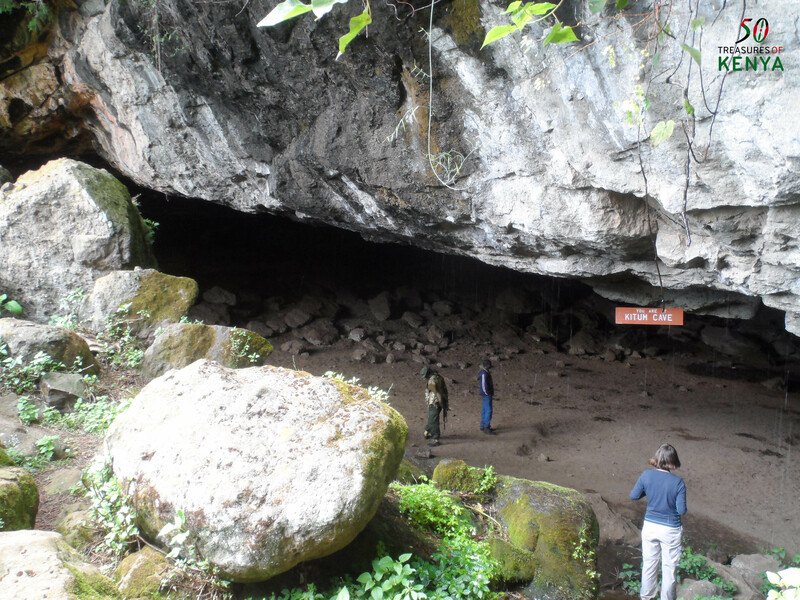 Kitum Cave is also a setting in Henry Rider Haggard’s well-known novel King Solomon’s Mines which may also have been inspired by the Mt Elgon Caves. Mt. Elgon also acts as a vital water catchment area for several rivers i.e. the Suam river that extends into the Turkwel which drains into the Lake Turkana, the River Nzoia and the Lwakhakha rivers which flow into Lake Victoria. Mt. 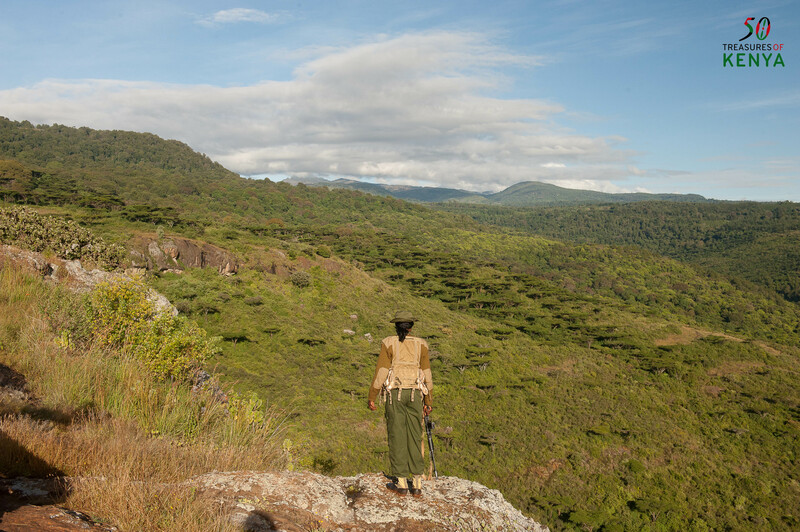 Elgon offers a wonderful nature and trekking experience as one of Kenya’s more secluded and less disturbed areas. 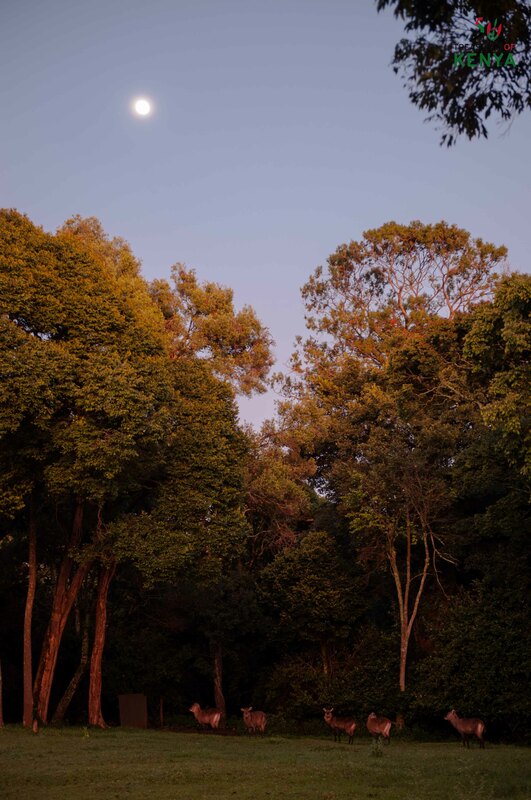 The walk through the forest is filled with beautiful scenery which will give you a good chance to say hello to some of the permanent residents of the Mt. Elgon National Park.In addition to the elephants, other commonly sighted animals include leopard, buffalo, waterbuck, bushbuck, olive baboon, giant forest hog, duiker, black and white colobus monkey and blue monkey, giraffe, impala and zebra. The best times to see wildlife are in the early morning from 6.30am to 9.30am and from 3.30pm to 6.30pm in the evening when they come out to browse again. Mt. Elgon is also an Important Bird Area (lBA) as more than 240 species of birds are sighted here in plenty. The designated trails are great for early morning birding with the possibility of sighting Ross’s and Hartlaub’s Turacos and the Black-and-white-casqued Hornbill also known as the Grey-cheeked Hornbill just to mention but a few. While bird watching at the glade itself and along the quiet forest roads there’s always a good chance for you to also encounter the Thick-billed Honeyguide, the Purple-throated Cuckooshrike and if you are lucky an African Crowned Eagle. 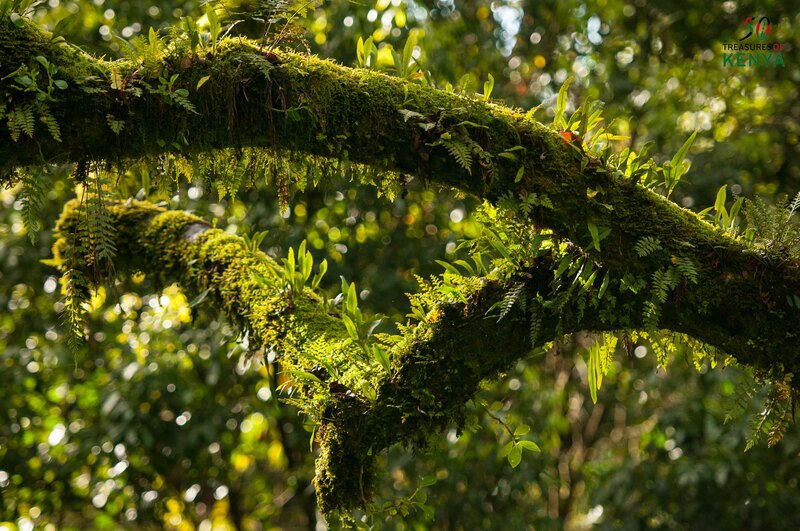 Mt.Elgon’s slopes support a rich variety of endemic vegetation which vary according to its altitude . The diverse terrain and dramatic ascents combined with the vagaries of rainfall and weather produce four distinct vegetation zones ranging from montane forest to high open moorland studded with the giant lobelia and groundsel plants. Huge Elgon Teaks and Cedar trees,some growing as high as over 80 ft tall, also dominate the forest scenery. Mount Elgon also presents excellent climbing and walking opportunities. So no special equipment for hiking is required and the Park management provides guides. Its moorland panorama offers breathtaking views that ideal for trekking and hiking expeditions. The climbing routes are gentle and largely free of vegetation making the going naturally easy. It is possible to get unusually close to the wildlife on horseback if you want the uniquely exhilarating experience of riding past herds of foraging elephants on the inviting mountain. Interested visitors can and are welcome to make their reservations and arrangements with the warden in this regard. While there is no permanent snow on the mountain, there are however some seasons you can find snow in the crater, this is mostly when the mountain becomes extremely cold especially at night. All the same, due to its milder climate and moderate slopes, the park offers fine climbing choices for those looking for a less strenuous climb. The mountain requires no technical climbing skills and all the major summits are easily accessible to hikers. There are several routes to the peaks available to any moderately experienced hiker. If you prefer a gentler stroll, a number of well-marked nature trails lead around the Elkony Caves which house ancient cave paintings that decorate the walls, and bats and rock hyrax which are found among the winding passageways. 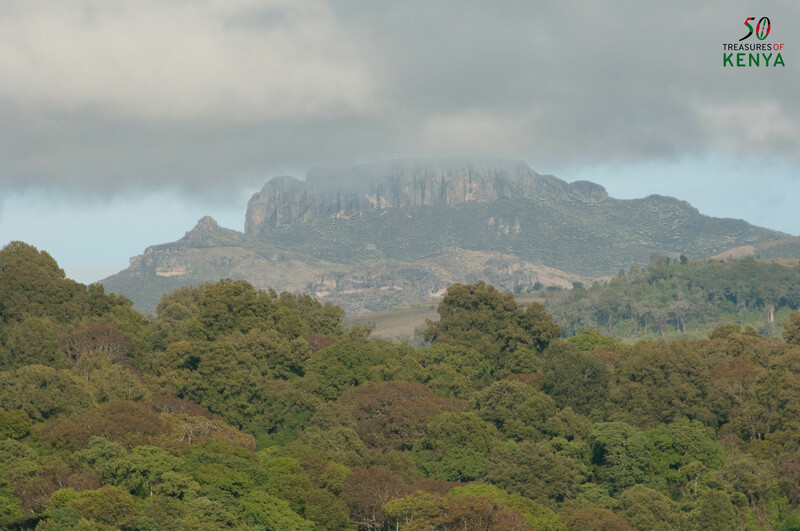 Mount Elgon is located 420 km from Nairobi in Western Kenya on the Kenya/Uganda border. A small privilege of it belongs to the County of Trans-Nzoia where as the bigger faction of it is Uganda’s share. The main advantage is its lower altitude making conditions here less extreme, though rains are more frequent. 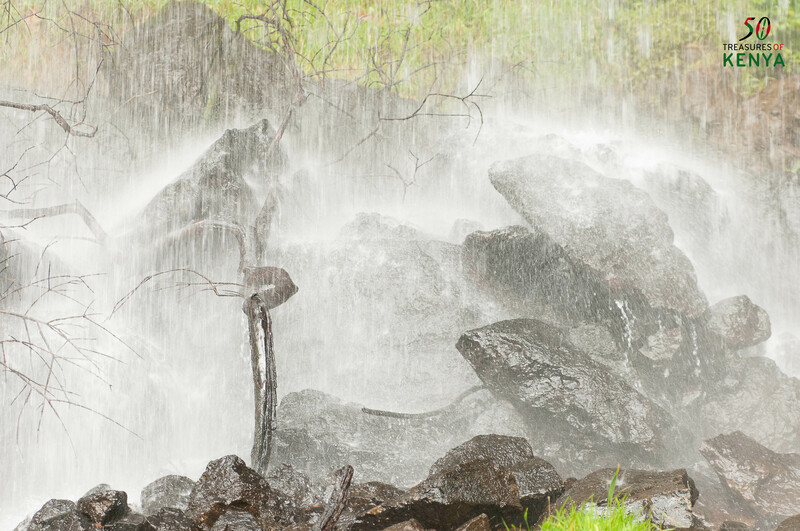 Always make sure that you bring a raincoat and warm clothes since the mountain is chilly and wet most of the times. 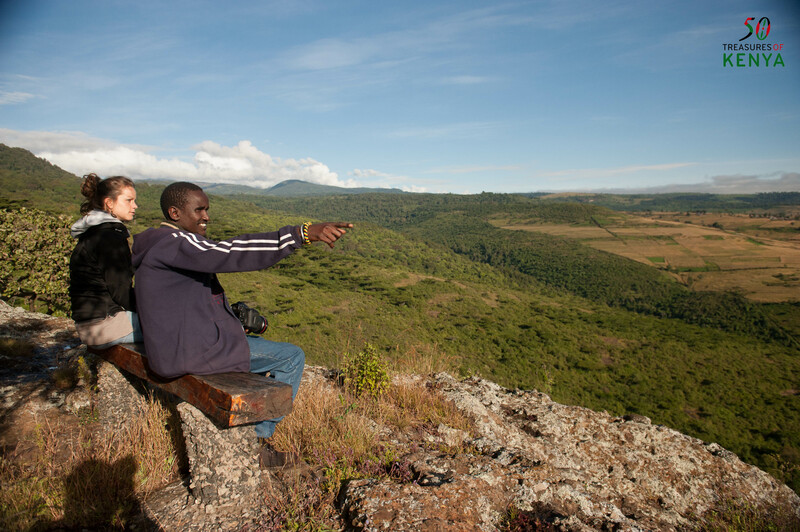 The best season to explore Mount Elgon is during the dry season between the months of December and February. The main entry gate can be reached in about 45 minutes by car from Kitale which is the nearest town and entry point. Once you are here take the road heading towards Endebess (approx.19 km) where you will branch off to your left onto a rough dirt road that will take you to the Chorlim gate to the National Park. 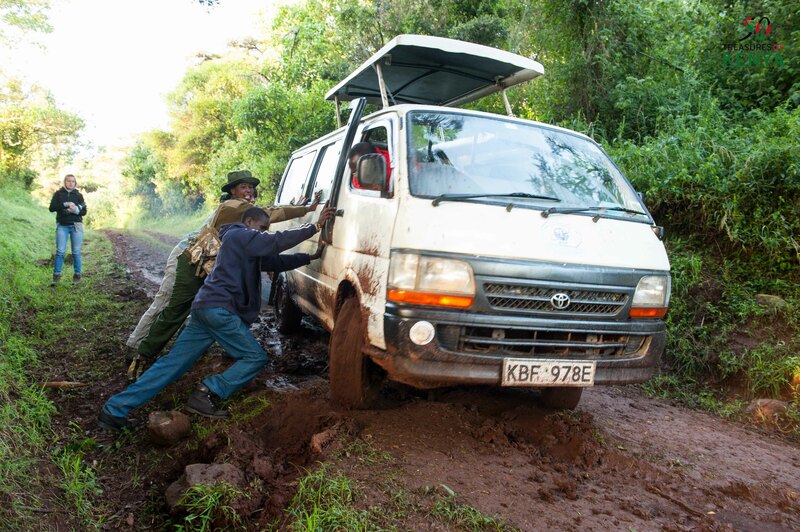 During the rainy season the park is accessible by 4WD only. You can also take a matatu from Kitale to Endebess for approx. Kshs. 70 and use a boda boda (motor bike taxi) from the roads junction to the park gate for a small fee of Kshs. 100 . 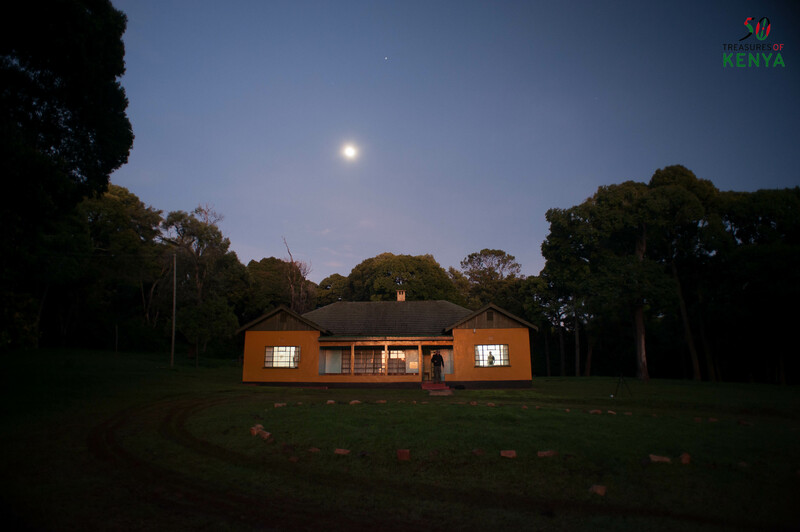 The self-catering Koitoboss Guesthouse and the Kapkuro Bandas offered by the KWS which are located within the national park close to Chorlim Gate are the most recommendable places to stay when visiting here. There are also three public campsites available at the park for those who prefer the refreshing outdoors. Other than the distance from Kitale, the warm cozy reception by the warden and staff is something to look forward to after the drive from Endebess. Not forgetting the elegant herd of water-bucks waiting to greet you right outside the guest house. We trust that this has been informative to you. If indeed, please take it a step further and spread the message, like it, share it and follow us as we countdown to Kenya’s 50th birthday! Wonderful pictures … my favorit places in Kenya. You are most welcome! Its always a our pleasure to share a treasure.We also appreciate why its a favourite for all its given reasons which still count even if we only claim a fraction of the region.Its a very enjoyable treasure.Karibu tena! I am on the Ugandan side of MENP and have really appreciated this article. The pictures are marvelous and I guess there are more of them about this treasure. I would wish to have some of them. My dream is to reach the koitobos peak of this beautiful mountain,How can i be assisted to achieve this dream? Hi Patrick You will be assisted from any of the KWS entry Gates.